To provide home health care services to seniors and others who are in need of home health services, your agency should strongly consider enrolling as a Medicare provider. Waiver Programs for home care in your state can make it possible for patients to receive their medical care at home, when they would otherwise be forced to receive care at a hospital at a much higher cost. It saves Medicare money, and it creates and excellent source of potential revenue for your home health agency. Obtaining your credentialing as a home health agency can be a long, tedious process. Waiver Program requirements vary from state to state. Not only are we familiar with the various state programs, we will take the time to fully explain the benefits your agency will enjoy when you enroll in your state’s various Waiver Programs. Every state offers a slate of medical and non-medical Long Term Living Support Services (LTLS) and Home Community Based Services (HCBS). Federally-approved state Waiver Programs allow in-home care and treatment for people with a traumatic brain injuries, intellectual or similar disabilities, spinal cord injuries or other serious disabilities. Credentialed home health care agencies can provide cost-effective community-based services to eligible consumers. Did you know there are currently over 300 Medicare Waiver Programs serving consumers in the United States? We specialize in helping home health agencies like yours obtain the credential necessary to receive Medicare referrals. If your home health care agency has been struggling to attract new clients, a Medicare Waiver Program credential might just be the solution you’ve been searching for. Our Waiver Program specialists can provide you with all the information required to obtain a credential to be eligible to receive Medicare client referrals. We know what every Medicare Waiver Program has to offer. 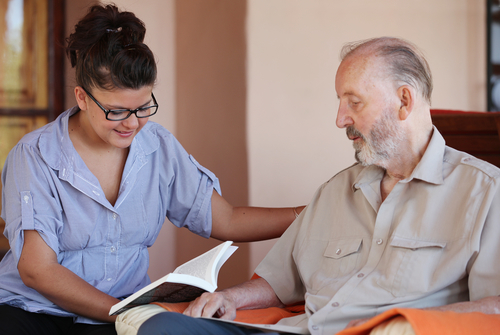 Home health care services can only be provided to eligible Medicare consumers by an accredited agency. You can start marketing your home health care services as soon as your accreditation application is approved. Our Medicare waiver accreditation clinicians have more than 20 years of experience serving aspiring health care agencies throughout the nation. Once your agency is enrolled, we’ll match you with the best Medicare programs for your agency. We make it as easy as possible for the home health care agencies we serve. Not only will we complete all the necessary documents, we will provide you with the required policies and procedures to ensure a fast and easy approval process. Our job isn’t finished until your home health care business is certified to deliver Medicare waiver services. All we need is some pertinent information about your agency, and we’ll take it from there. Don’t worry. You’ll receive all the professional consultations, support and guidance you need to become a contracted Medicaid waiver agency in your state. Your home health care agency doesn’t have to be accredited by Medicare to be accredited as a Medicaid waiver agency. Our clinicians will let you know whether your state requires a license to do business with Medicaid or not. Either way, we’ll guide you successfully through the accreditation process. Your home health care agency will be included in a regional directory once the certification process has been completed. You’ll learn everything you need to know about gaining access to patient referrals, reimbursement rates and negotiating with full-time and contracted employees. Call today to learn about the enrollment process and how you can benefit from Medicare Waiver Program certification. We serve agencies that deliver behavioral health care, home health care and hospice care services anywhere in the United States. Whether you want to expand an existing health care agency or you’re ready to start a new health care business, our industry-leading Medicare accreditation assistance program is exactly what you need.